Jennifer Jacobs is a Creative Director at FutureBrand London — a global agency that builds brands with a future focus. Jen works on the corporate team, and has been involved in ideation, strategy and development for NatWest, Zurich, Bosch, Virgin Atlantic, Ahold Delhaize, Kazam and the Special Yoga Foundation to name a few. She is passionate about helping brands find their voice, demonstrate their personality and live a set of values that their clients can believe in. 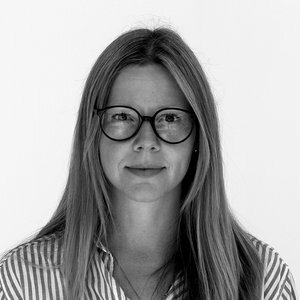 Before FutureBrand, Jen worked with great agencies like Imagination, Lambie Narin, LifeSize Media, SAS and Neville Brody’s Research Studios for big names like O2, Sainsbury’s, Nokia, Yamaha as well as game changers like Biome Bioplastics and Scottish Renewables. Before that she was design director at boutique agency Hudson Fuggle where she helped Morley College in Waterloo rebrand to attract a new demographic of adult learners. Jen helps support the creative industry through her involvement with Kerning the Gap — a mentoring program for women in the creative industries, and through pro bono work for the Crystal Palace Festival, a free arts festival in South East London.